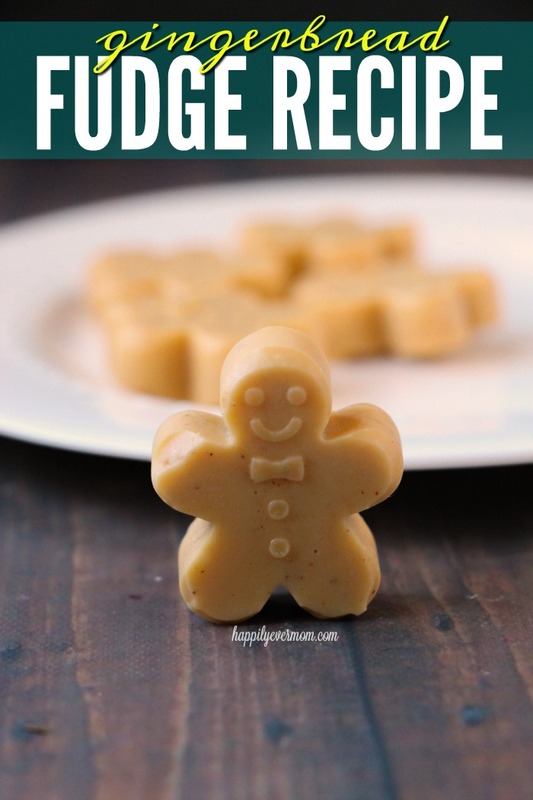 I’m a sucker for all things cute during the holidays and this gingerbread fudge fits the bill. Tasty. Chocolatey. And, oh so tiny, these little bites of fudge are the perfect gift for neighbors, grandparents, and for YOU! 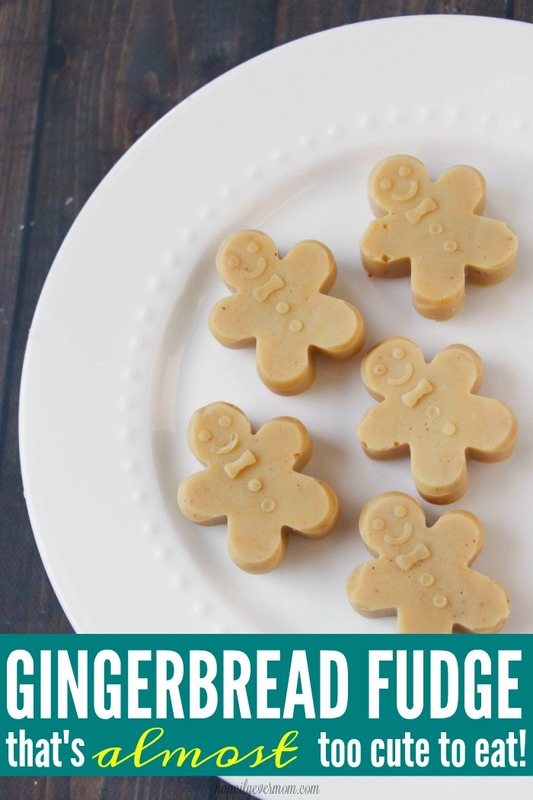 Because the ingredients are simple, kids can help to make these as well which just makes this gingerbread fudge even better. I feel like my first real bite of fudge was when I met my husband in college. Shocking? Maybe. But, fudge was never a big part of my family’s holiday spread. Instead, we had beef stroganoff and chocolate cake. Hey, we knew what we liked and we stuck with it. On the other hand, my best friend (and neighbor) had a different tradition. They would show up to our doorstep with a plate full of homemade sugar cookies. 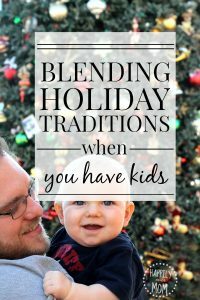 I’ll never forget the brightly colored icing that my friend and her little brothers smeared on those cookies – it looked like holiday joy painted on a plate. It was clear that they absolutely loved every minute of decorating those cookies. Much like my grandmother loved making beef stroganoff, my neighbors looked forward to making those cookies year after year. 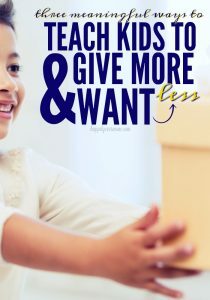 And, that’s the point isn’t it? To look forward to family traditions year after year. Maybe your family loves making sugar cookies, gingerbread houses, or beef stoganoff (we can’t be the only ones, right?). 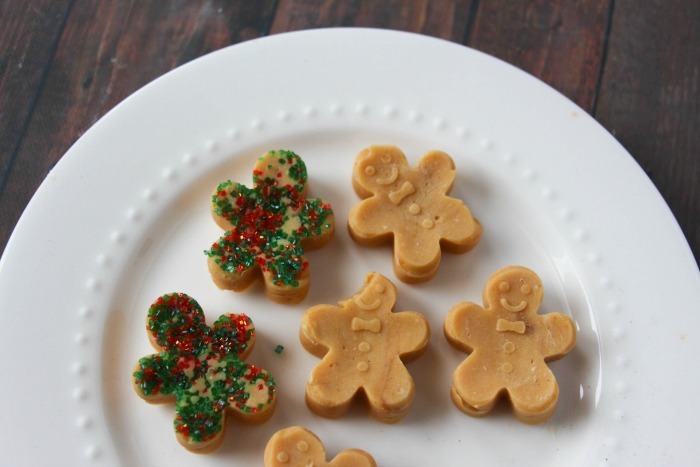 Whatever the tradition, these little gingerbread fudge men are sure to inspire time together in the kitchen with your kids. Which, for so many of us, is exactly what the holidays are all about. Unless you eat them all before your kids realized what’s happened, then you can simply read the book, “The Gingerbread Man” and all will be well. Remember, kids can help with this, but remind them that the ingredients will be HOT! A fun way to get them involved is to let kids put sprinkles on top once the fudge is in the mold. Then, when you pop them out, they’ll look even more festive! Spoon 1 Tablespoon-sized portions into your gingerbread silicone tray, if using, or fold out into an oiled 9×9″ cake pan. I love that there aren’t tons of ingredients to make this fudge, but the cute factor? It’s off the charts! Kids (and your neighbors) will be begging to make these year after year!